Create an A7 (5x7) card base. Cut a pale designer paper to 4 5/8" x 6 5/8", distress the edges and lightly sponge the edges with a complimentary ink. From white card stock cut the beautiful Austrian Collection Background, from Sue Wilson Designs, and adhere to your designer paper. Add to card base with foam tape. 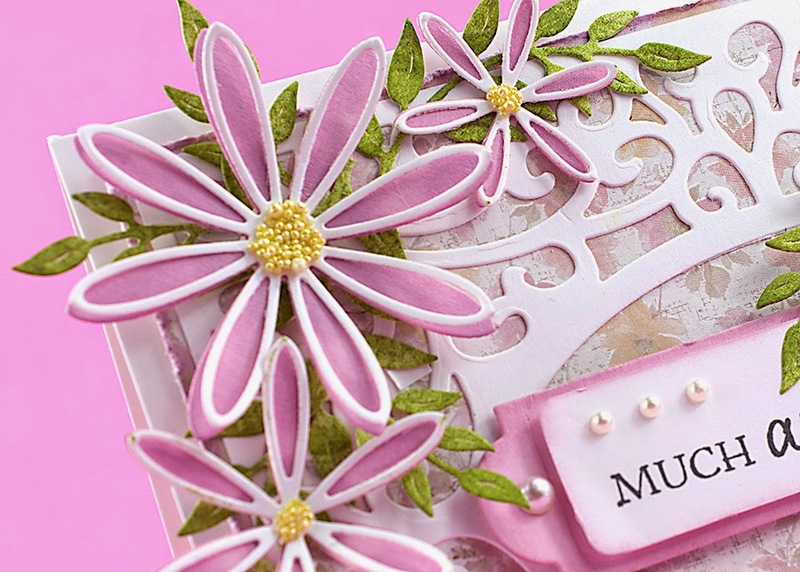 From a light pink card stock cut the flowers using Sue Wilson Designs Complete Delicate Daisies; lightly sponge the petals. From white card stock cut flower outline using Sue Wilson Designs Open Delicate Daisies, glue to solid petals and adhere yellow prills to centers. Cut the foliage using Cheery Lynn Olive Branches. 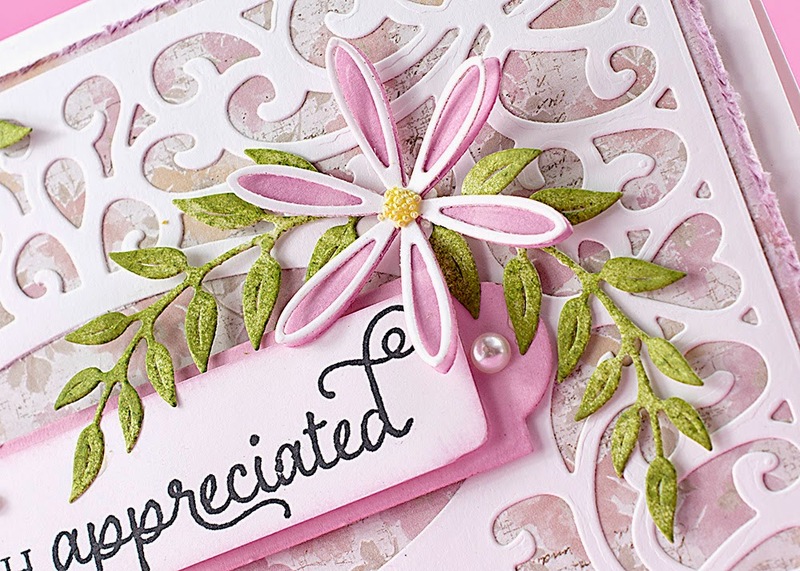 Cut out tag using Spellbinders Back to Basics Tags, add sentiment (Tailored Expressions), pearls and adhere to card with foam tape. Arrange greenery and daisies. The Dies R Us, twice monthly challenge started TODAY! Don't be left out, get all the information at the Dies R Us Challenge Blog, up load your picture(s) and you might win an e-gift card to the DRU store!